Copy and paste the embed code -- in the that displays when you click Embed --into the post text box here on the forum. Copy and pasted what is in the box into the post text box here on the forum. Somehow I managed to lock up my last post when I tried to post prefix and suffix of the embed code found in the box after you click Embed. Somehow I seem to have locked up this thread trying to post the embed code for your video. 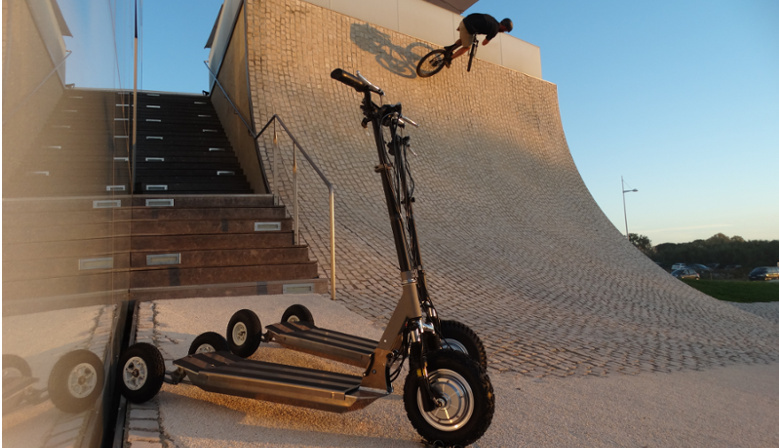 Actually, the scoot in the video is an old frame version (see new model below). The rigidity of the front half part was improved (with a better folding mechanism) to give a better feeling of stability/security to the driver.